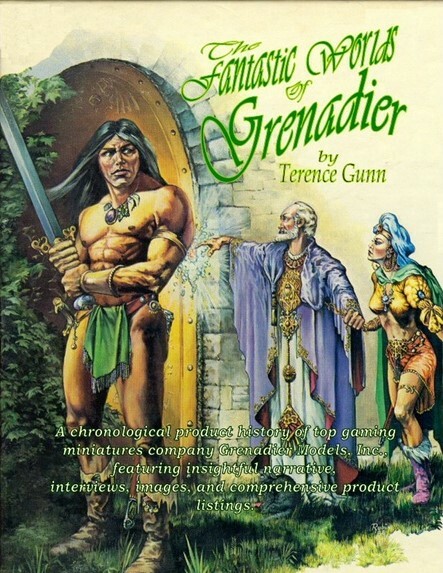 Dear Tony Blair: The Fantastic Worlds of Grenadier - now on Kickstarter! The Fantastic Worlds of Grenadier - now on Kickstarter! I'm not one to normally push a Kickstarter project......although heaven knows I back enough of them....however the wonderful Terence Gunn has come back out of his hobby retirement and worked on the second edition of his book. The original from back in 2004 is a great piece of Grenadier history that I'm so glad I picked up....this promises to be bigger and better. Terence sent me a few sample pages and they are well worth investing in. Jump on this one if you love old school miniatures! The link below will take you straight through to the Kickstarter! Edit (27th June) the updates on the Kickstarter now include sample pages.